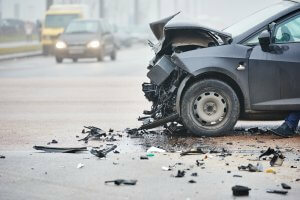 Hit-and-run Accident Attorney in Providence RI | Resmini Law, LLC. Attorney Wayne G. Resmini represents clients involved in hit-and-run accidents throughout Rhode Island and Massachusetts. Leaving the scene of an auto accident without exchanging insurance information or communicating with the other driver(s) involved in the accident is not only immoral, but is also considered a criminal act in many cases. Victims of hit-and-run accidents are often left feeling panicked, vulnerable and helpless. It is downright infuriating when another driver damages or even totals your vehicle, and in some cases, causes physical harm to you and your passengers, before speeding off. There are several reasons why a driver at fault would flee the scene of an accident. Perhaps he or she does not have auto insurance and is afraid of the potential financial penalties that will be issued. Maybe he or she is under the influence of drugs or alcohol and is unable to make sensible decisions. In some cases, the driver who caused the accident may have been texting or otherwise distracted prior to striking your vehicle. Whatever the case may be, hit-and-run accident victims are obliged to seek full justice and compensation to cover repair costs, medical bills for any injuries sustained, as well as lost wages. Even if the culprit is never discovered, you may be eligible for compensation from your insurance company if your plan includes uninsured motorist coverage. Hit-and-run accidents don’t always involve just drivers – sometimes pedestrians are stuck while crossing the street. Cyclists are also at risk when inattentive drivers do not respect bike lanes or simply do not see cyclists, particularly in crowded areas and dangerous intersections. Attorney Wayne G. Resmini also represents clients who have received unjust charges from a hit-and-run accident and require legal advice. If you feel that you have been unjustly charged with a hit-and-run or would like to reduce fines issued from leaving the scene of an accident, Attorney Wayne G. Resmini will fight for you. Attorney Wayne G. Resmini is available 24/7 and will completely dedicate himself to winning your case. Since he puts his clients first and foremost, Attorney Resmini only collects legal fees if he wins your case. For over 25 years, Attorney Resmini has fought for clients involved in hit-and-run accidents throughout Rhode Island and Massachusetts. For more information, please call 888-777-PAIN or fill out a consultation request form.